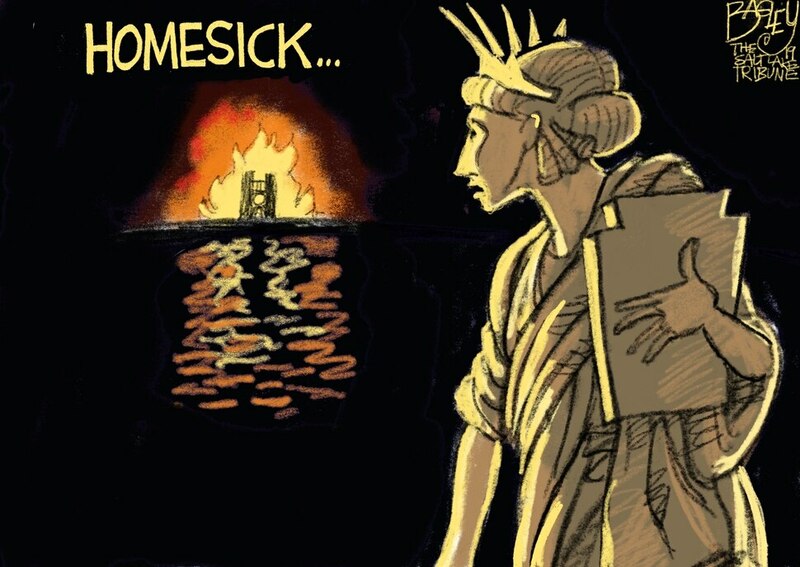 (Pat Bagley | The Salt Lake Tribune) This Pat Bagley cartoon, titled Our Lady, appears in The Salt Lake Tribune on Tuesday, April 16, 2019. 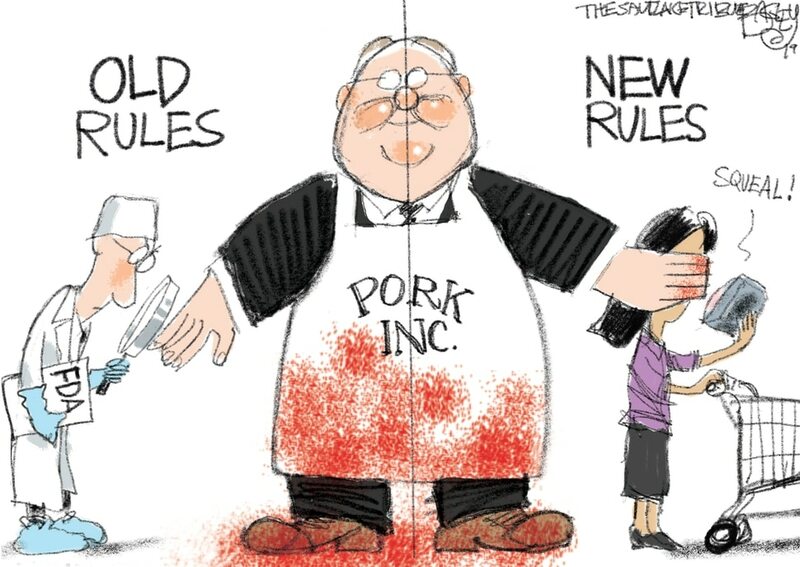 (Pat Bagley | The Salt Lake Tribune) This cartoon by Pat Bagley titled Hog Heaven appeared in The Salt Lake Tribune on Sunday, April 14, 2019. (Pat Bagley | The Salt Lake Tribune) This Pat Bagley cartoon appears in The Salt Lake Tribune on Friday, April 12, 2019. 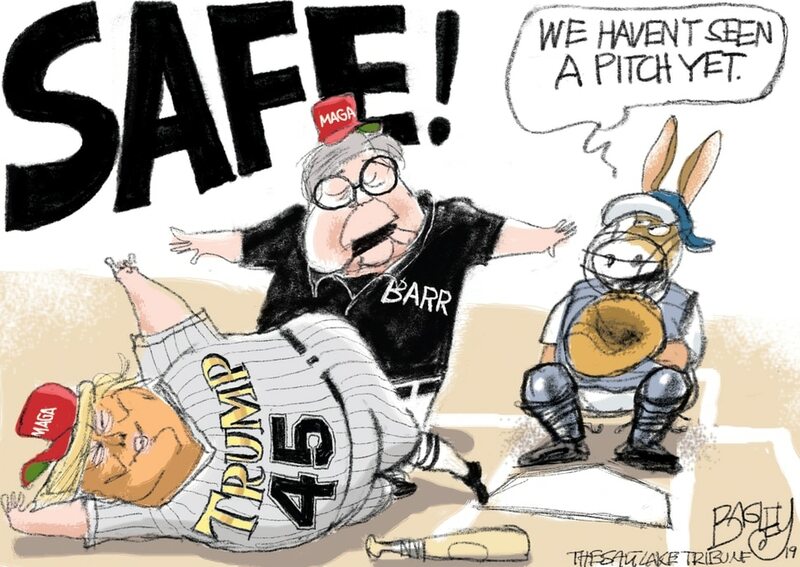 (Pat Bagley | The Salt Lake Tribune) This Pat Bagley cartoon appears in The Salt Lake Tribune on Thursday, April 11, 2019. This Pat Bagley cartoon appears in The Salt Lake Tribune on Wednesday, April 10, 2019. (Pat Bagley | The Salt Lake Tribune) This Pat Bagley cartoon, titled Radical Extremists, appears in The Salt Lake Tribune on Tuesday, April 9, 2019. (Pat Bagley | The Salt Lake Tribune) This Pat Bagley cartoon appears in The Salt Lake Tribune on Sunday, April 7, 2019. This Pat Bagley cartoon appears in The Salt Lake Tribune on Friday, April 5, 2019. (Pat Bagley | The Salt Lake Tribune) This Pat Bagley cartoon appears in The Salt Lake Tribune on Thursday, April 4, 2019. This Pat Bagley cartoon appears in The Salt Lake Tribune on Wednesday, April 3, 2019. (Pat Bagley | The Salt Lake Tribune) This Pat Bagley cartoon, titled Troubling Downturn, appears in The Salt Lake Tribune on Tuesday, April 2, 2019.